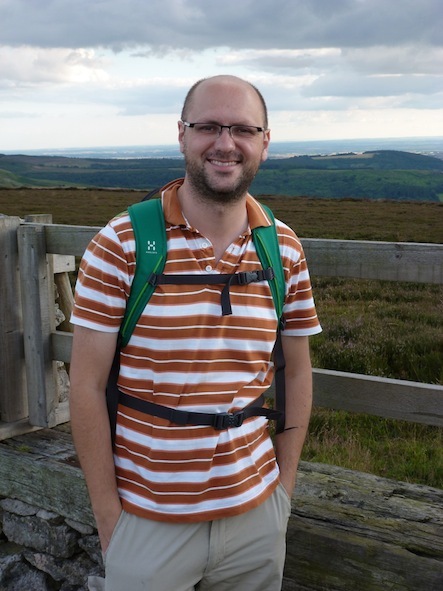 I'm a post-doctoral research associate, currently working on the NERC-funded '500,000 years of solar irradiance, climate and vegetation changes' with Will Gosling. We’re using pollen wall chemistry to study changes in solar irradiance over the last 500 thousand years, using the sedimentary record from Lake Bosumtwi in Ghana. More generally my research focuses on the maintenance of biodiversity in the past. I am particularly interested in climatic controls on speciation, extinction and dispersal over different spatial and temporal scales, and in the application of ecological analytical techniques to the fossil record. My previous research has centred on using the fossil pollen record to study vegetational change during the early Palaeogene greenhouse interval (~65 - 45 million years ago). I've also carried out research on herbivore evolution in North America over the last 40 million years, as global climates cooled and grasslands spread. I'm always interested in new collaborations, whether pollen-related, something to do with a bit of number crunching (typically using R), or something completely different, so please do get in touch if there's something you'd like to work on.